Hope you're enjoying your Emini Alert Trial. Indices gapped higher on the Globex open. 👍ALERT #1603 Consider short ESM9 2810 to 2808 (Gap Fill) and TIP. 👍ALERT #1604 Consider short YMM9 25565 to 25545 and TIP. 👍ALERT #1605 Consider short RTYM9 1510.50 to 1508.50 and TIP. 👍ALERT #1606 Consider short NQM9 7369 to 7359 and TIP. 👍ALERT #1607 Consider short GCLK9 58.70 to 58.60 to 58.50 and TIP. 👍ALERT #1608 Consider long GGCJ9 1314 to 1315 to 1316 and TIP. 👎ALERT #1609 Consider short GHGK9 2.8350 to 2.8250 and TIP. CTA's are a static report utilized throughout the entire session to gauge the Bullish or Bearish nature of each market. 💤ALERT #1610 Consider short 6EM9 1.13650 to 1.13550 and TIP. 💤ALERT #1612 Consider short ESM9 2790 to 2787 and TIP. 1st 4 Alerts (ES / YM / RTY / NQ) exceeded target. Exit Signals have not printed yet. 👍ALERT #1614 Consider short RTYM9 1502 to 1500 and TIP. 👎ALERT #1615 Consider short NQM9 7308 to 7298 and TIP. 👎ALERT #1616 Consider short GCLK9 58.50 to 58.40 and TIP. NOTE For the record Alert #1613 there was a misprint. 25395 to 25375 is correct. Dow Traders thank you for pointing it out. 👍ALERT #1617 Consider short ESM9 2797 to 2795 and TIP. #1612 still valid. 👍ALERT #1620 Consider short GCLK9 58.60 to 58.50 and TIP. 👍ALERT #1622 Consider short RTYM9 1506 to 1504 and TIP. #1619 still valid. 👍ALERT #1623 Consider short NQM9 7320 to 7310 and TIP. #1615 still valid. 👎ALERT #1624 Consider short ESM9 2797 to 2795 and TIP. 👍ALERT #1626 Consider short NQM9 7325 to 7315 and TIP. ALERT #1627 Hedge ESM9. Consider buying 2805 to 2807 and TIP. ALERT #1628 Hedge YMM9. Consider buying 25535 to 25555 and TIP. ALERT #1629 Consider long RTYM9 1521 to 1523 and TIP. Chart Examples In Telegram Channel. Telegram.org or visit your App Store. Use of all CFRN Products and Services signifies you have read all CFTC Required Disclosures and CFRN Disclaimers at www.cfrn.net/disclaimer and http://www.cfrn.net/cftc-risk-disclosures. Trading is risky. You can lose all of your money and then some. If someone tells you differently, run as fast as you can in the opposite direction. Treat it like a business and it will behave like a business. Our methodology is proprietary in nature and is under no conditions released to the public. As with any trading strategy past performance is no promise of future results. We are a publishing company and our goal is to teach as educators, the strategy we have found to be most productive over time. As opposed to constantly changing our strategy, we believe trading strength is understanding when market conditions are most suitable for trading and when they are not, to refrain from trading until such conditions return. Please Note: All performance figures and illustrations on any CFRN Website, Twitter Feed, Facebook Page, Telegram Channel, Webinar, Video, Live Broadcast, Training Room, or elsewhere, were obtained using historical back testing or live real-time data feed on a computer and are not the results of an actual account. No guarantee is inferred that future performance will be like the results shown. Futures trading involves risk. There is a risk of loss in Commodity Futures trading. U.S. Government Required Disclaimer - Commodity Futures Trading Commission Futures trading has large potential rewards, but also large potential risk. You must be aware of the risks and be willing to accept them in order to invest in the futures markets. Don't trade with money you can't afford to lose. This is neither a solicitation nor an offer to Buy/Sell futures. No representation is being made that any account will or is likely to achieve profits or losses similar to those discussed on this or any associated CFRN website. The past performance of any trading system or methodology is not necessarily indicative of future results. Never trade without a Hard Stop and if you don't get an education here, get a good one somewhere. You may be wondering if you will ever "get it" when it comes to Trading. You've spent countless hours in front of the Charts, attended a Zillion Webinars, bought many Shiny Indicators and Magical Oscillators, yet somehow, what seems so easy on the surface, remains a mystery. #1) It's not your fault. #2) There is a real reason. #3) It has nothing to do with magic. Email support@cfrn.net with "Alert Trial Please" in the subject line. If you take the same road, you will always end up in the same place. Use of all CFRN Products and Services signifies you have read all CFTC Required Disclosures and CFRN Disclaimers at www.cfrn.net. Trading is risky. You can lose all of your money and then some. If someone tells you differently, run as fast as you can in the opposite direction. Treat it like a business and it will behave like a business. Never trade without a Hard Stop and if you don't get an education here, get a good one somewhere. As an E-mini Trader, you have a choice... continue to chase hair brained get rich quick schemes, or learn how to trade. It really is that simple. We are in our 2nd decade of helping Traders build their own trading business. You finance it yourself from the inside out with aggressive risk management and the simple Emini Trading Methodology we teach. I know people offer to finance your trading account (for a price). You're easily convinced people are lining up to put big bucks in an E-mini Trading Account, just for you. Sounds like the answer to your dreams right? Ask yourself this, "Why would reasonably intelligent people with Real Money, give their money to an amateur when they can give it to a Wall Street Professional with a proven track record?" Perhaps they just want to make America great again? Starting with you... you lucky rascal. Hey, somebody bought a lottery ticket last week and won $250m. Maybe I'm wrong. Give it some thought. Based on how much you've already forked out, prepare for the wave of nausea about to sweep over you. You can let them bleed you dry, or you can do what you know is right. Right is rarely easy, but it can be simple and it is always right. Do we at CFRN charge for our 90 Day Emini Futures Mentoring Program after the 5 Day Free Trial? Of course we do and it's not a secret. It shouldn't come as a surprise that you have to "pay" for your education. Doctors do. Lawyers do. Why shouldn't you? What we don't do is fill your head with false hope and empty promises. If you spend 2 hours a day, 5 days a week, training in live markets for 3 months, plus utilize our Unlimited "One on One" Mentoring and have still not learned to reach a humble daily goal on a consistent basis, trading might not be for you. I know, those are fighting words.... Well? That's the Honest Truth about Emini Futures Trading. We not only show you what we offer at no charge, we allow you to use it all for a week so you'll know for sure if what we do, is right for you. Who else does that? Whatever you decide, we wish you all the very best on your Trading journey, and our team stands ready to be of service should you ever need us. Wayne Jett Author and my Wednesday Wingman delivered a fantastic show today along with my daily co-host "The Stock Whisperer". Check out the latest review of Wayne's riveting book - "The Fruits of Graft"
Everyone who actually knows anything substantive lies about the Great Depression and its causes.The most significant economic event of the 20th Century is said to be “too complex” too explain. In fact we now know, as we now know who killed John F. Kennedy (CIA, FBI, LBJ, Israel, and the Bush Family along with Cuban exiles and Corsican mafia), it is quite clear from this extraordinary book that the Great Depression was deliberately caused by the elite mercantilists (some would say fascists) in order to destroy the middle class competing for political and economic power, while concentrating wealth among the top bankers and political control over the US Government. Grab a copy at http://ClassicalCapital.com or http://Amazon.com. Emini or SPY? Trader or Investor? Are Emini Futures As Good As Gold? Are E-mini's as good as #Gold? It depends. Are you trading or investing? While some would say "What's the difference? ", night and day I say. For less than $1,300 I can own an ounce of Gold. What's that worth? In American dollars less than $1,300. In Canadian dollars? Closer to $1,700. How Much Does An S&P 500 Emini Contract Cost? Tonight as I type, I can purchase 1 June S&P 500 E-mini Contract for $500. What's that worth? Tonight as I type, $119,850.00. Say what? That's exactly why Gold is Money and the S&P 500 Emini is the single most traded instrument this side of Elon's summer home (Mars). This year in Berkshire Hathaway's annual letter to shareholders, the Sage of Omaha had this to say about Investing, not Trading. "Over the years, I've often been asked for investment advice, and in the process of answering I've learned a good deal about human behavior," Buffett said in the letter. "My regular recommendation has been a low-cost S&P 500 index fund," he said. "To their credit, my friends who possess only modest means have usually followed my suggestion." Now to clear the air, investing in an S&P Index Fund and Trading S&P Emini Futures is as different as... yep, night and day. Let's face it. Not everyone has what it takes to become a Trader. What does it take? That is the Trading Trifecta and most "would be" Traders are missing at least one of the three. The most common missing element? The Personal Mentor, who by the way, will help you develop discipline and learn to be patient. He or she, will also help you Learn How to Trade. He recommends investing in an S&P Index Fund because that takes no training, no special skill or talent. You buy it, forget it and hope for the best. So how much does that cost? If we use the Spyder S&P 500 ETF as an example, 1 Share (not a contract) the cost (as I type) is $240.30. What's it worth? In US Dollars - $240.30. Today was an up day in the markets and the share price of the SPY increased by $1.30 per share. The S&P Emini which requires a Trader not an Investor at the helm, opened Sunday Night (last night) @ $2,3888.75. Over the course of the trading day today (Monday 05/15/17), price climbed to $2,402.25. That's a difference of $13.50 per Contract, not per Share. Each dollar or "point" the Emini Futures Contract rises or falls, is worth $50. So the S&P Index Fund Investor made $1.30 per share today. Don't forget, as I type, each share will cost you $240.30. Just buy it and forget it. The Emini Futures calculation is a little bit different. Remember, the Emini rose $13.50 per contract. Each point is worth $50.00. 13.5 X $50 = $675.00 Hmmm... why would Warren put you in the Index Fund rather than the Futures Contract? Simple! He knows most "would be" Traders do not possess the Trading Trifecta - Patience, Discipline, Personal Mentor. He's helping you play it safe. Nothing wrong with that. Keep in mind that since the S&P 500 Emini contract costs $500 to Buy (or Sell), and trades around the clock unlike the Spy, you could have bought 2 Shares of the SPY with $500, so your gain Monday is actually $1.30 X 2 or $2.60, plus you sleep like a baby. Right? Well... as long as it continues to go up you do. Who Are You? What Are Your Goals? Based on a semi typical up day in the markets (Monday), for $500 the SPY Investor with 2 Shares made $2.60. The Emini Futures Trader if he bought the open last night and sold the high today (pretty tough to do unless you have Weekly Trading Zones or a Personal Mentor), the market made $675.00 per Contract available. It doesn't take a CPA to figure out $675, or even half of $675, is slightly better than $2.60. Agree? However, remember this... arguably the world's greatest Investor just told you to buy the SPY. Why? Safety, peace of mind, no muss, no fuss. Almost. Remember 2008? Many Investors owned the SPY. On October 1,2007 the SPY was trading @ $135.24 per Share. Fast forward to February 2, 2009 and the SPY was trading @ 66.56. During the "Great Recession" many retirees who were married to the SPY or many other Index Funds saw their portfolio drop in excess of 40%. Many were forced to come out of retirement and return to work. Can you say "Welcome to Walmart?". Suffice it to say, both Trading and Investing are risky. While Futures may offer an opportunity to rack up outsized gains quickly, without a Trading Trifecta, you can actually lose it all and then some. As you decide which path is correct for you, consider the amount of time you have to work with. How soon will you need to access your retirement funds. The longer the time horizon, the more risk you can afford. Please don't run scared and get that wisdom backwards. Each person and financial situation is unique. Always check with a licensed Investment Professional before making any investment decision. If you chose the "Way of the Trader", ask yourself this very important question - "Do I have the Trading Trifecta?". Unless your answer is a resounding YES / YES / YES! Take Warren's advice, buy an Index Fund and simply forget about it. Whichever decision you make, I wish you all the very best on your financial journey. CAN YOU DO IT? DO YOU WANT TO KNOW? There's something on this earth you were created to be GREAT at! God created each of us to excel at something. Some of us know instinctively. Others spend years searching. Sadly, some just meander through life never finding the thing that wakes them up before the alarm and keeps them awake long after the Sandman has passed through Sleepy Town. Your spouse is snoring (gently), but when you close your eyes all you can see is Candlesticks. You slip out of bed at 3am to check the London open. If that's you, you might be a Trader. It's this simple. Go to Apply.CFRN.net . Make a 5 Day - No Cost - Commitment. Put your name and your email in the little boxes, hit SEND, go check your email. Read the email, follow the instructions, then show up @ 9:30am EST any day M-F and let the journey begin. In a week you'll know. Don't let the past dictate your future. When your welcome email arrives with your Link and Password, keep reading. THE EMAIL IS FILLED WITH INSTRUCTIONS. We do Ninja and any Broker who clears through Gain Capital. If that's not you, there's instructions to download dtPro. We not only give you our Indicators for a week, we even provide the Platform (at no cost). There's no more excuses. Take the trial or go learn how to tie fly's. Bake a cake. Do something! You'll go blind if you keep watching Springer all day. See you in the Trading Room - Apply.CFRN.net . These 3 ingredients are critical to build a successful #Emini Trading Business. Too often Traders think a couple of Indicators, a few Setups, some money in an account and the fur coat and Bentley are just around the corner. That's also why 90% of would be talented Traders fail to make the final cut. We've all figured out that taking just 2 points a day out of the S&P as we grow our account size is simply a function of math. In fact Einstein said the most powerful force on Earth was "compounding". Simple. Because no one takes the time to teach them the right way to do it. The mechanics of the 2 points is probably the simplest part of the journey. It's all that noise between the ears that washes Traders out. When it's time to Trade, you have to take your emotions outside and tie them to a tree. No distractions. No kids, telephones, email, chat box, Facebook, Twitter or CNBC. Just you, the market and solitude. Once you reach you daily goal, you're not on a roll, it's time to pick up the chips and put the mouse away. The list is so long this post won't hold it all. Both Group Mentoring (2hours daily) and at least 45 minutes of 1on1 mentoring weekly, in the beginning. That's a minimum. You must become consistently profitable in Sim. We make you pass a test. The green light if you pass the test allows you to go live with 1 contract. You'll earn $100 a day gross (that's the goal) until you increase the account balance by $2k. The calendar will tell you when its time for the next contract. Very simple. Designed to help you grow from 1 to 20 contracts in 24 months. How Was Your Emini Trade Alert Trial? If nothing else, you now understand that all the Magical Indicators and Mystical Indicators on Planet Earth (no mater how much they cost), can't make you profitable. The only way you will ever become consistently profitable as a Trader is to stop throwing away your time and treasure on useless gadgets and go find yourself a Personal #Emini Mentor. Someone who will teach you how to Read a Chart, how to Think in Probabilities and how to become Patient and Self-Disciplined. Are You Ready To Become An Emini Trader? We will not only teach you how to trade, we will teach you how to build your own Emini Trading Business. Take your financial destiny into your own hands. Garrett Jones just published his latest copy of Observations and joined the show to discuss some things you'll find quite fascinating if you're an Emini Futures Trader, have an interest in Emini's or just plain love the market with all it's intricacies. We opened with Michael doing a complete recap of every trade set-up from the Live Emini Training Room this morning. John (rapidly becoming on the shows new stars), arrived at 12:40pm EST for a "Big Picture" look and after Garrett shared his "Geometric Magic", I brought it home with a complete recap of every single Concierge Emini Trade Alert emailed to subscribers Monday night for the Tuesday Session 01/17/17. To watch videos of the Concierge Emini Trade Alerts going back years, go to Emini.CFRN.net. To watch today's show, simply click the headphones above or the link below. I find it fascinating that almost everyone I speak with is in a "wait and see" mode. Not long ago we were waiting to see who would win the election. Then we were waiting for year-end. Now we are waiting for the Inauguration and next we will be concerned about the First 100 Days. The reason for this 'wait & see' approach is simple. The bulls have now seen the market move to a level where market sentiment is now fully in the 'take defensive action' mode which will keep the smart bulls from any further exposure. At the same time, the bears have been penalized for taking positions and are, therefore, reluctant to take further risk with downside bets. This stagnation has been in play since mid December and, more recently, from the end of the first week of this year. This is interesting because when bulls aren't buying and bears aren't selling, something has to give. Today it was the banking sector. The entire group was down hard today and many issues closed below recent support. Could this be the start of the correction that has been anticipated for so long? Well, it was banking stocks that led the rally and banking stocks that went much higher than anyone expected, so it isn't that much of a stretch to assume they may lead any correction. Most of the bank stocks have not advanced since the first week of December. While they haven't fallen much, they haven't advanced either. Smart money may have decided to take profits as opposed to waiting and possibly seeing their profits diminish. By selling in 2017, the expectation is for the tax burden to be significantly less. A very special thanks to Garrett for making a copy available to the CFRN audience of Observations #86. To download your Free Complete Copy just Click Here! If you have questions or comments for Garrett email him Garrett@CFRN.net Just put Observations in the subject line to make sure he gets it. Just $1.00 will get you a trial of our Concierge Trade Alerts for a Week, plus access to the Live Training Room (2 hours a day for 5 days). Use of our Indicator Set and a Demo Platform if needed. You also get 45 minutes of "One on One Mentoring" during your trial. That's a lot for a buck. If for any reason you are unhappy with your trial, we'll even give the buck back. Do not worry, after the $1.00, you will be charged nothing. To become a Subscriber click here - $497 per month! Russell Traders were riled earlier this year when the ICE Exchange imposed a $100+ monthly fee for delivery of data (per trader) on the Small Cap Index home to 2,000 Small Cap companies. The CME has an agreement with the London Stock Exchange (LSE) for the next 12 years beginning 3rd quarter of 2017 to list futures and options contracts on both the Russell and FTSE Indexes. Whether the $100 monthly data fee will still be charged for the Russell has yet to be announced. Currently the CME charges a flat $18 per month (per trader) fee, for access to all data on CME Traded Products. The fee was never really that big of an issue for experienced Traders. If you trade 1 Contract a month on the Russell E-mini and net 1 point (10 ticks), you recoup your data cost. The reported purchase price was $2.7B. The London Stock Exchange now has around $9.2 Trillion in assets benchmarked against the performance of its indexesincluding the UK FTSE 100. Anyone who has ever arrenpted to trade the Asian session on Globex, knows it's a a tough go. Most sessions are lackluster in both volume and volatility. This new deal between the LSE and CME not only gets the Russell out of the prasp of ICE, but also brings to CME Traders contracts based on FTSE Developed Europe and FTSE China 50. Emini Day Traders are hopefull this will put some pep in the step of the sleepy Asian session. Many Traders just beginning to build their new trading business are often forced to trade the sleepy Asian session due to their day job preventing them from trading during Regular Trading Hours (RTH) and they also miss the London open which presents stellar opportunities filled with both volume and volatility, because unfortunately... even Traders need sleep. An edge that many are not even aware of. At 12pm PST, London City opens its doors for business, just as Wall Stret does in the US @ 9:30am EST. While the LSE Open has everything a daytrader needs - volume, participation and volatility in select markets (call for markets), many traders simply aren't aware of the opportunity. A skilled Trader with a well defined edge, can stay up until midnight, put in an hour or two at the platform and their Trading Day is over. Our Live Trading Room is only open 2 hours a day here in the US. Experienced Traders know that most days, 2 hours is more than enough time to reach their daily goal as long as it is a realistic goal. Did You Miss Today's Show? Just click the headset above or the link below. Michael does a Live Training Room Recap at the start of the show and I spend the last 45 minutes doing a blow by blow recap of every single Concierge Trade Alert sent to subscribers the night before. Ready To Find Out If You Can Trade Professionally? Wonder no more. Take our 1 Week Free Trial. No Cost / No CC / No Obligation! Just visit Apply.CFRN.net click the link in the confirmation email that comes automatically, we'll personally send you a Link and Password good for the next week. Read the email. Follow the instructions. Get confused? Call 866-928-3310 or 949-42-EMINI. Remember, it's not easy, but we've made it really simple. We are now in our 2nd decade of serving the Trading Community. You're invited to spend 5 days in our Live Training Room. Real Charts / Real-time Data and real answers to all of your questions. Learn once and for all if you have the ability to turn your back on the quest for overnight riches and are ready to settle down with a community of like minded traders and do what we all should have done to start with - Learn How To Trade. Sunday Night on Globex while most Americans were sleeping, the S&P 500 began a historic run that took the S&P Emini Futures ES to all time historic highs on Monday. Our trade desk emailed Subscribers to our Trade Alert Service @ 10pm EDT Sunday Evening to consider being long if the ES hit 2186. Our Alert was triggered during the half hour preceding Wall Street's open @ 9:30am EDT. Historic new highs were put in during the 11 to 11:30am EDT window and peaked out at 2190.75 giving CFRN a shot at 4 points to start the week. To offer some perspective, if you've graduated to the 5-10 Contract level a 4 point day puts you in top 3% of wage earners worldwide. HappyMonday! Traders hoped that today's release of the Fed Minutes would take the market to even higher highs, but the almost "promise" of a rate hike before 2017, tempered the move up. The market did rally strongly after the minutes were released, but are trading somewhat quietly tonight @ 2182 a good 8 points off of Monday's all time new highs. Can You Become A Professional Trader and Live Outside the US for a Fraction of what it costs to live in America? Mr. Jett is the managing principal of Classical Capital engaged in economic analysis and publishing. He began speaking to chartered financial analyst societies on economic and monetary policy in 2005. In 1999 and 2000, He wrote a book called A General Theory of Acquisitivity to explain that Adam Smith's "invisible hand" is actually a natural mechanism designed into each person, which efficiently allocates scarce resources to individuals able to use them most productively. Between 2005 and 2011, he researched and wrote the book titled The Fruits of Graft - Great Depressions Then and Now (Launfal Press, Los Angeles: 2011) identifying and explaining the actions which caused the Great Depression. The book then proceeds to trace mercantilist influences in the U. S. through 2010, giving special attention to the Federal Reserve, the Securities & Exchange Commission and the financial events of 2000-2002 and 2007-2010. In private law practice in California during 1970-1999, Wayne argued cases in the Supreme Court of the United States, the U. S. Court of Appeals, and the federal and state trial and appellate courts. Mr. Jett has led seminars in supply-side economics for CFA Society of Los Angeles and for Security Analysts of San Francisco. He speaks and writes on constitutional, tax reform, monetary policy and financial market issues. 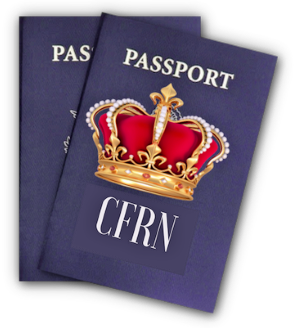 Every Wed @ 1pm EDT he Co-hosts the CFRN Emini Futurescast here on CFRN Live. Join us and bring your financial questions. Did you even know we were watching and trading the market Sunday night or that you could place an order before the bell rang on Wall Street? You should come spend a week with us (online) and let us show you why Emini Futures, particularly the S&P 500 E-mini, is the single most traded financial instrument worldwide. No matter the time of day or night, no matter where you sit or stand on the blue marble, (with the the exception of a few hours a week), this market never sleeps. At your Stock Broker's office $500 will get you (almost) 5 shares of Apple AAPL at curent prices. The same $500 in the S&P Emini market place, will buy you over $108,000.00 of equity in the S&P 500 best of breed companies. Yes in the heyday of the tech debacle many traders lost fortunes trading on margin. Traders (some Traders) are a little wiser today. Times have changed. Drop in for our 100%, No Strings Attached, Free Trial (No CC Required) and we'll teach you how to manhandle $108,000 of equity, while only risking $100 per contract. This has nothing to do with those things that expire worthless 80% of the time and you don't have to speak a single word of Greek. The heavy lifting has already been done for you. Tired of Boom and Bust? Ready to give up? We have the tools, the knowledge and a 90 Day Mentoring Program that can literally set you free. That's the truth and we all know... the Truth (the real truth), really will set you free. Just go to Apply.CFRN.net and I'll see you in the morning @ 9:30am EDT sharp. Subscribe to our Daily Broadcast on iTunes Watch every episode on YOUR schedule, not ours and be sure to plug into Emini.CFRN.net where you'll find the largest Active Emini Community and Library of Resources on the Internet. Want 2 Trades sent to your Smart Phone, Tablet or Desktop, every Trading day. We provide the Entry, the Target(s), and the Stop Loss on every Daily Double Trade. For complete information and to start your Free Trial right now, go to Emini Daily Double . You won't believe the prce. One trade today nore than covered the cost of 10 weeks of service, but you pay weekly. This is by fat the most innovative Trading Product on the market. When your Smart Phone rings, check the Trade, then use your Brokers Mobile App to place the trade. Also works on you Desktop - PC or Mac. Our new relationship will enable CFRN Partners, Clients and Community Members to have immediate access to economic news reports, plus investment and trading opportunities directly from the UK, as they develop. We have been "shouting from the rooftops" the past 5 years that a true Global Market was evolving right before our very eyes. 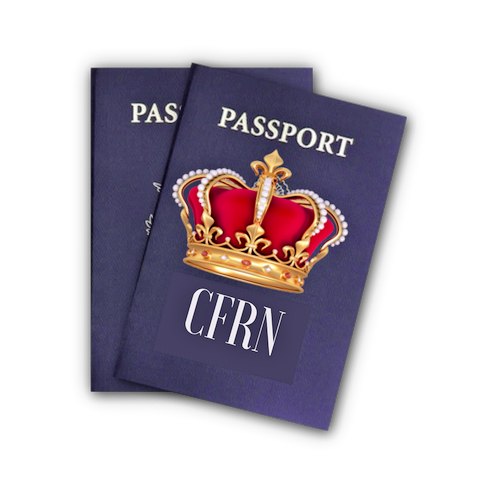 On a daily basis we have done our very best to keep the CFRN audience and client base focused on the London Open which is 3am EST, midnight on the West Coast. Many of our Traders have developed a new life-style around the London Open. Their work day begins at 12pm and many are finished for the day by 2am Pacific. Many of our East Coast Traders have also redefined their life-style as well. They arise @ 3am, reach their Daily Goal and either head to the gym, or back to bed for a quick nap before the day job begins. I have much admiration and respect for this particular group of Traders who will let nothing stand in their way of becoming consistently profitable in the Futures and Commodities Markets. Long before we had personal computers, cell phones and the internet, I too arose @ 3am to reach my first job where I began calling my publishing clients at 8am EDT (5am Phoenix time). After an 8 hour shift I would shift gears and head across town via public transit to spend the next 8 hours calling my local mortgage clients in the greater Phoenix area. Some say I was driven. Others thought I was a bit crazy. I believe it was a bit of a mix. I was 21 and a certain young redhead had stolen my heart and I was determined to prove that I could turn from the crazy ideals of a typical 21 year old and become a grown up with a paycheck. With no formal training it seems the only jobs I qualified for always said in bold letters - COMMISSION ONLY! Back in the 80's (1980), there were a few MBA's around Phoenix taking home a paycheck with a comma. I was knocking down 2 of 'em, with just a High School Diploma. I think I mentioned I had my heart set on this Hippy Princess and since I was neither tall, nor ruggedly handsome, I thought I could impress her with money. Turns out, she fell for me as well without the money, but in all honesty, I don't think the 2 comma sized paychecks worked against me. So what does this have to do with the S&P 500 Emini Futures Outlook for 2017? Everything! I never did manage to land a job with a salary (who signs up for a pay cut? ), but one thing led to another and now today, really important people I don't even know, are saying really nice things about me, and I didn't have to pay them. People who would not have even hired me, seem to admire me. How cool is that? That would be a great waste of white space now wouldn't it? What I'm attempting to do is encourage you to find someone who will take you under their wing, mentor you and Teach You How to Trade. If you learn how to trade Emini Futures such as the S&P (ES), Dow (YM), Nasdaq (NQ), Russell (RLM), or even Gold, Crude, Soybeans (it's a really big list)... you'll never have to work 2 jobs. You'll never even need a job. In fact, if you have the right teacher, you'll never work again. Say what? The following quote has been attributed to Confucius, Sun-Tzu, even Steve Jobs. Chances are they all said it. Whose on first? I don't know... Roll Tape! and you'll never work another day in your life." Call a large Brokerage Firm. Ask for the mail room. Ask for the guy in charge. Every year he sends out what we in America call the "1099". There's 2 stacks. Those who turned a profit, and those who didn't. Ask him which stack is bigger. He might say he can't tell you (and he shouldn't). Ask for his name. Mail him a bottle of Johnny Walker Platinum. Wait a few days and call him back. Just ask "How was the Platinum?" Wait for his reply like you really care. Now try the original question again - "Which stack was bigger?" I'm guessing you get an answer this time. You might even get an exact count. Now we know what we're up against. All we have to do is figure out what the 1 out of 10 figured out. S&P 500 E-mini futures contracts expiring in the month of March for 2017 rose by a substantial margin after opening on Wednesday, outperforming S&P 500 E-mini contracts with closer expiration dates. Contracts for the end of all four 2016 quarters were down as of 9:35 AM on Thursday. After opening at $1882.00, March 2017 futures contracts jumped in early trading to $1902.00 as 2016 contracts fell moderately. Despite the increase, contracts for March of 2017 are still valued at a somewhat lower price than 2016 counterparts. By early Thursday trading, March of 2016 contracts were valued at $1931.87, with June 2016 at $1922.50, September 2016 at $1913.50 and December 2016 at $1905.00. March 2017 contracts were also substantially beating their 20-day average of $1866.04. The increased optimism for the first quarter of 2017 may or may not be warranted in comparison to more immediate quarters. Gasoline savings are expected to stimulate consumer spending through much of the 2016 fiscal year, helping to bring new revenue into businesses involved in consumer sales. At the same time, however, continued market volatility has set some investors on edge, particularly with regards to businesses that are heavily affected by the condition of the commodities market. It is also not yet clear how continued interest rate hikes by the Federal Reserve will affect the flow of investment capital across the 2016 year. For these reasons, some investors have pegged their hopes on 2017 as a year of potential market recovery, accounting for some of the optimism surrounding the first quarter futures contracts for that year. At the same time, however, 2017 may bring its own set of difficult market conditions. Given present projections, it is expected to be a year of somewhat reduced economic growth in emerging market economies. During that year, growth in India is expected to remain at the same level as the projected 2016 rate, while China's economic growth is expected to slow in comparison to 2016. This means that companies doing business in emerging markets may be more susceptible to slowdown, thought the risk is fairly slight. 2017 may also be a year of some turmoil for US companies, as a new president will be taking office in January. However, this is unlikely to affect Q1 earnings in any way beyond affecting investor perception, as executive economic plans tend to take longer than 2 months to implement, and will take much longer than that to have real market effects on the US economy. As an investment opportunity, 2017's Q1 E-mini futures contracts have potential, but also carry a high level of risk. Because of the volatility inherent in an interconnected global economy, it is very difficult to predict what market conditions will look like more than a year down the road with any degree of accuracy. The long wait for expiration has also led to low liquidity and very low trading volumes on these contracts. While there is potential for profit on the E-mini contracts for March of 2017, they are best left to very risk-tolerant investors who are willing to take a position and sit on it for a fairly long time until liquidity increases. For other E-mini traders, contracts that are nearer to expiry will be a better investment, as they are in a time frame that is much easier to make reliable predictions about and offer much better liquidity. We have Tomorrow's ANSWER for Emini trading - TODAY! It's not easy or obvious, but it will work. Spend 5 days in our Live Emini Trading Room. Use our Platform dtPro, or Ninja. Learn our Methodology and use our Indicator Set. Spend 22 hours a day practicing what you learn in our State of the Art Real Time Simulator. Subscribe to our Daily Broadcast on iTunes Watch every episode on YOUR schedule, not ours!